Join us on February 26th to Celebrate our Anniversary! 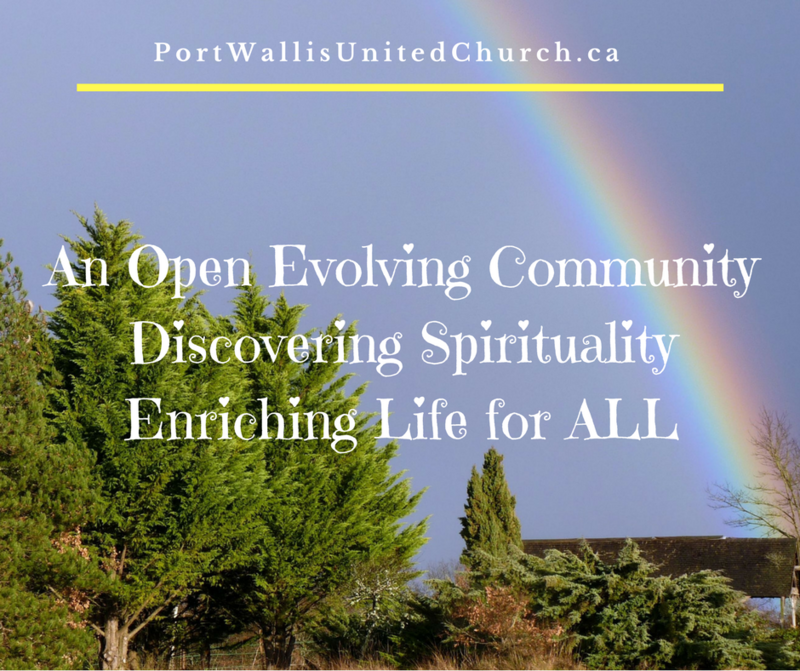 Port Wallis was founded in 1952 when a group of local people wanted an open and inclusive United Church Family in the immediate area. We applied and were granted Mission Status by Halifax Presbytery. Needing a home out of which to work, we bought the old Port Wallis School since the new Michael Wallace School had just been built. Served first by student Ministers from Pine Hill Divinity Hall (forerunner of Atlantic School of Theology) we eventually gained enough courage to call a minister of our own. For years, we were an “Aid Receiving Charge” and received an annual Block Grant from the “Mission and Service Fund” of the National Church to cover operational costs. Suppers and other labour intensive endeavours became one of the hallmarks of our Church. 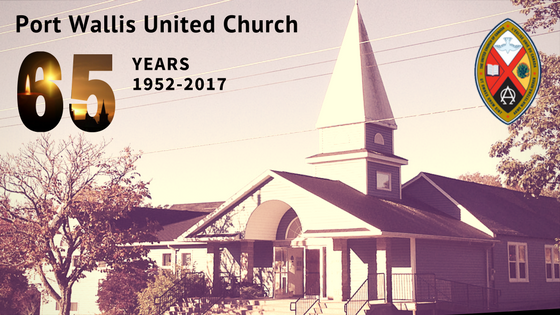 In 1988, the congregation took a leap of faith and decided to get off the Annual Block Grant from the National Church. In the same year, we were brave and called the Rev. Ivan Gregan to be our minister. Also, in the same year, the national General Council voted that by our baptism we are all called into ministry regardless of sexual orientation. These were three major decisions that could have been a perfect storm. However, Port Wallis showed its true colours and, true to its founding roots of bravery, openness and inclusivity, we rose to be the living presence of Christ. In 1996 conversation started around expansion of the building. Estimated costs were $350,000 – an impossibly large sum – or so we thought. Remember that only 10 years before we needed money from the national church to meet our bills. In 1998 we broke ground and built on to the front of the old Church. The sanctuary and hall remained the same but now we had new administrative space, Sunday School rooms, bathrooms and Meeting Space. In short time, we had it paid off. In 1998, we were presented with the idea of having 2 Services. In 1997, our Minister had done a pulpit exchange with the Rev. Fraser Stewart of Inverness, Scotland and brought back the idea of a shorter, instructive, Biblically based teaching service with the laity leading the music. Initially, there was a small attendance but we continued and now it is a major part of our worship endeavours. We continued to be brave. The Rev. Flemming Holms joined us as Minister Emeritus and brought his passion for Social Justice. This rose to the forefront when we championed the cause of the Filipino sailors on the Marsk Dubai. This became the impetus for refugees such as the Columbian family we brought in and our recent efforts with Bubacarr from the Gambia. Later, the Rev. Blake Caldwell joined us and began a ministry of visitation and discussion that flourishes even now. Throughout the years, we have bought land (and paid it off) remodeled the sanctuary (and paid it off), expanded our employee numbers and built up the church complex. Moreover, we have changed the fabric of our community. People look at Port Wallis and refer to us as “the Church” knowing it as a safe place, a helping place and one where relationships are made and lives are changed. Over the years, we have seen that no one in our community – regardless of religion or lack thereof – will ever be hungry, without shelter, or in the cold. We see that meals are taken to the housebound, the infirm and the homeless. We open our doors to the community. Quietly, we instruct people in the way of Christ, lifting up the fallen, healing the broken, restoring people to relationship with God and challenging the discrepancies of the world. We are still a brave, open and inclusive Christian Community. Now, 65 years on, when many think of retiring, we are still planning our next adventure. We invite you to join us and celebrate our Anniversary. Come and enjoy a warm, refreshing lunch with your Church Family.